One of the best ways to evaluate a product is to hear from customers just like you. When you need to find the best accounting software, it’s not easy to separate the contenders from the pretenders. With over 13,000 customers, Sage Intacct has earned its market leadership as the best online accounting software. Maybe that’s why the AICPA named Sage Intacct its preferred provider of financial management software. Still not convinced? Is Sage Intacct the best online accounting software? At G2 Crowd, a trusted source of online accounting software reviews, the wisdom of the finance crowd is clear. 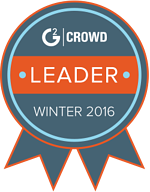 Well over four hundred G2 Crowd users have contributed rave reviews of Sage Intacct, and G2Crowd has named Sage Intacct to its 2017 Best Software for Finance Teams list. Sage Intacct was the top solution in the Accounting Software category for both mid-market and enterprise level finance teams. 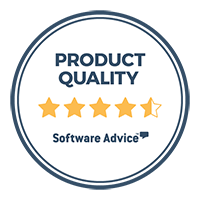 For some of the best accounting software reviews, head to TrustRadius, where business-software users share their opinions. Sage Intacct is rated at 4 or 5 stars by 85% of reviewers. At Proformative, a popular site for online accounting software reviews, dozens of customers—triple-verified for authenticity—have contributed their opinions of Sage Intacct. And those opinions are unanimous: 100 percent of them said they would select Sage Intacct again, with an average rating of more than 4.2 stars. At Salesforce’s popular AppExchange site, dozens of Sage Intacct users offer their independent perspectives on what Sage Intacct provides their organizations. Sage Intacct has a rating of 4.3 out of 5 stars. More than 60 Sage Intacct customers at this vendor-independent site have given high rankings, and enthusiastic comments, in their reviews of our software. Their collective rating: 4.2 out of 5 stars. TechValidate gathered customer usage data and insights into why companies selected Sage Intacct through a survey of verified customers. View a variety of TechFacts, Charts, and Case Studies to learn more about why Sage Intacct was their top choice and the benefits they’ve seen to date. The AcctTwo implementation team has been absolutely stellar! We'll see huge benefits from consolidating our accounting from multiple systems into Sage Intacct, as well as being able to analyze our data using Sage Intacct's dimensions.